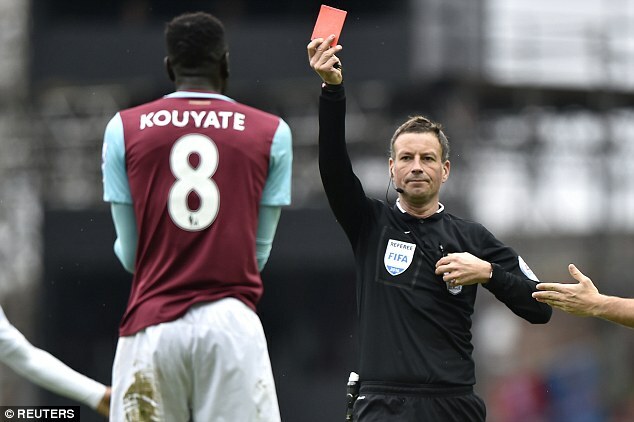 West Ham may find themselves cursing their luck after Sofiane Feghouli’s red card from the weekend was overturned – the fourth time in the last five instances they have seen a straight red rescinded. 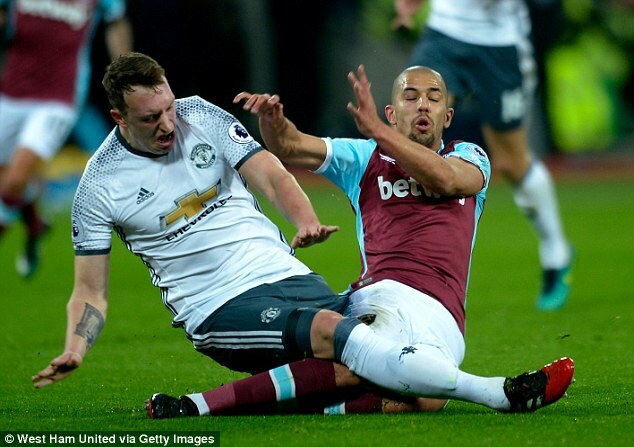 A clash between Phil Jones and Feghouli in the 15th minute of Monday’s game against Manchester United led to referee Mike Dean sending the Algerian international off. 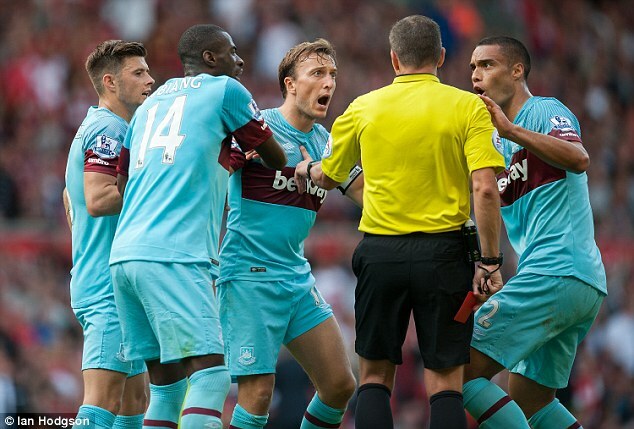 But West Ham appealed the decision amid criticism from supporters and pundits alike. Their successful appeal means they have now had 80 per cent of their last five straight red cards overturned. 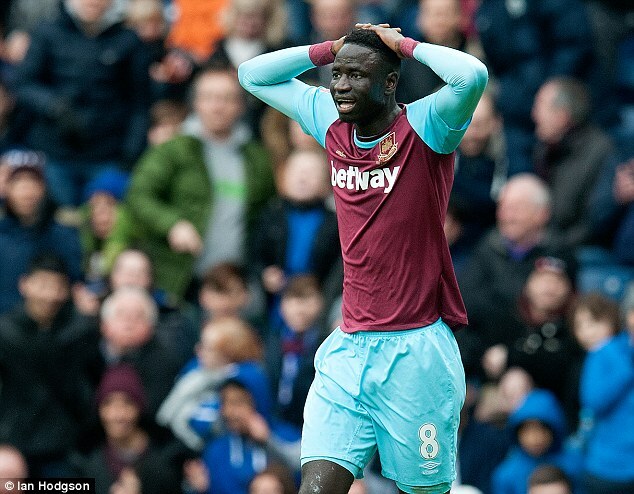 That list includes two Cheikhou Kouyate dismissals last season – against Crystal Palace in the Premier League and Blackburn Rovers in the FA Cup – and Mark Noble’s sending off against Liverpool in August 2015. The only sending off in that five game spell that stood was James Collins’s dismissal in the October 2015 defeat by Watford. Feghouli will now be available for the FA Cup game against Manchester City on Friday evening. An FA statement read: ‘Sofiane Feghouli has had his claim of wrongful dismissal upheld today [Wednesday 4 January 2017] following an Independent Regulatory Commission hearing. 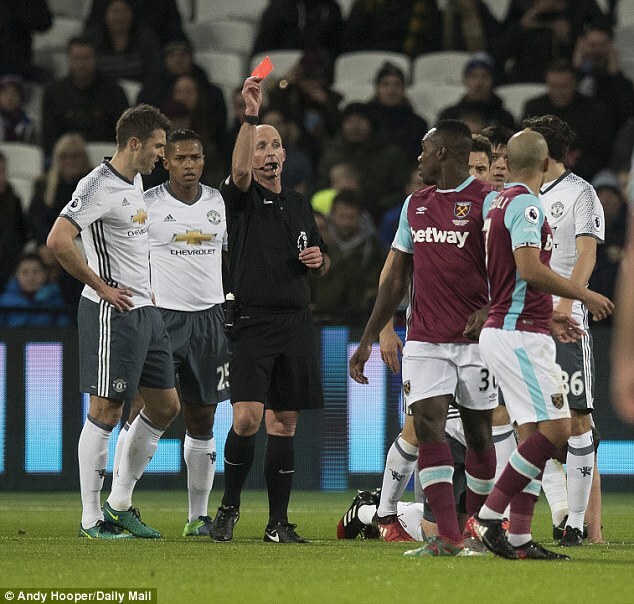 ‘The West Ham United player was sent off for serious foul play during the game against Manchester United on Monday 2 January 2017.